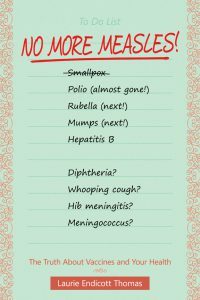 Tetanus | No More Measles! Tetanus is horrible! Get your tetanus boosters! Tetanus is caused by a tox­in that is released by a bac­teri­um called Clostrid­i­um tetani. The C. tetani bac­te­ria live in the intestines of many kinds of ani­mal. As a result, they are com­mon in the envi­ron­ment. They are par­tic­u­lar­ly com­mon in farm­yards, where there is plen­ty of manure. How­ev­er, spores of the C. tetani bac­te­ria can be found every­where. The C. tetani bac­te­ria can eas­i­ly enter the body through any break in the skin. C. tetani thrive in places where there is lit­tle oxy­gen. Thus, they can eas­i­ly infect deep wounds, such as punc­ture wounds. The C. tetani bac­te­ria then pro­duce tox­ins that attack the ner­vous sys­tem. The short­er nerves are affect­ed first. That’s why the mus­cles that affect the jaw are affect­ed first. The tetanus vac­cine is made out of the tetanus tox­oid, which is tetanus tox­in that has been dam­aged (dena­tured) so that it can no longer cause tetanus. The tetanus tox­oid vac­cine is usu­al­ly com­bined in one shot with two oth­er tox­oid vac­cines: one against diph­the­ria and the oth­er against per­tus­sis (whoop­ing cough). Tetanus used to be com­mon in new­borns because the C. tetani bac­te­ria can infect the stump of the umbil­i­cal cord, espe­cial­ly if the cord was cut with some­thing that was not ster­ile. Today, preg­nant women are giv­en tetanus boost­ers, so that they can give the baby anti-tetanus anti­bod­ies through the pla­cen­ta before birth and through breast milk after birth. Tetanus has been a com­mon com­pli­ca­tion of mil­i­tary wounds. This famous paint­ing from 1809 shows a sol­dier dying hor­ri­bly of tetanus after a gun­shot wound at the Bat­tle of Corun­na. Sir Charles Bell’s por­trait of a sol­dier dying of tetanus. Thanks to the devel­op­ment of the tetanus tox­oid vac­cine, there were only 12 cas­es of tetanus among U.S. ser­vice­men who were wound­ed in World War II. Of those cas­es, only 4 were in men who had received all of their vac­cines. There was only 1 case of tetanus among U.S. ser­vice­men in the Kore­an War. That case occurred in a man who was injured in an acci­dent but did not receive a tetanus tox­oid boost­er at the time of the acci­dent. 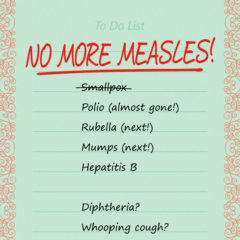 The tetanus tox­oid vac­cine does not pro­vide life­long pro­tec­tion. Peo­ple need a boost­er shot every 10 years or so. Boost­er shots are also giv­en to peo­ple who have received an injury that could pose a risk of tetanus. A case of tetanus can be treat­ed. But even with the best of mod­ern med­ical treat­ment, about 10% of tetanus patients die. In one case in New Zealand, an inten­tion­al­ly unvac­ci­nat­ed child caught tetanus. He had to be hos­pi­tal­ized in the inten­sive care ward, where he was put into a med­ical­ly induced coma and giv­en par­a­lyz­ing drugs to stop the ago­niz­ing­ly painful mus­cle spasms. A breath­ing hole (tra­cheoto­my) was cut into his throat to help him breathe. The doc­tors expect­ed that he would remain in the inten­sive care ward for 6 weeks and in the hos­pi­tal for 4 months. They expect­ed that it would take him a full year to recov­er.